GRAND RAPIDS January 19, 2015– As much as Martin Luther King accomplished in the arena of civil rights for African Americans, it’s easy to forget that he was also a staunch supporter of union rights and of workers of all colors and ethnicities. In fact, when he lost his life to an assassin’s bullet on April 3, 1968, he was in Memphis in support of striking sanitation workers. The night before he was killed, King gave his “I’ve Been to the Mountaintop” speech to a Mason Temple Church that was packed with those sanitation workers, their families and supporters. King viewed union rights as civil rights, but he also saw that where there were unions there was prosperity—for people of all races. A few weeks ago, I saw Selma, a remarkable movie about the unbreakable persistence and moral leadership of Dr. Martin Luther King, Jr. in the struggle to secure voting rights for African-Americans in the Jim Crow south. But what the movie didn’t reveal was the role played by the labor movement in the 1965 march from Selma to Montgomery and its part in propelling the civil rights movement forward at so many pivotal moments. As we mark Dr. King’s 86th birthday, it is my hope that Americans will remember another less-celebrated element of his dream – a belief in the importance of unions, labor rights and robust worker voice. As the U.S. Secretary of Labor, and also the former Assistant Attorney General for Civil Rights, my work is animated by Dr. King’s view that civil rights and labor rights are inextricably intertwined. “The duality of interests of labor and Negroes,” he told the AFL-CIO Constitutional Convention in 1961, “makes any crisis which lacerates you, a crisis from which we bleed.” Both movements are rooted in the idea that empowerment comes when many people speak with one voice, rallying as a community, taking collective action. 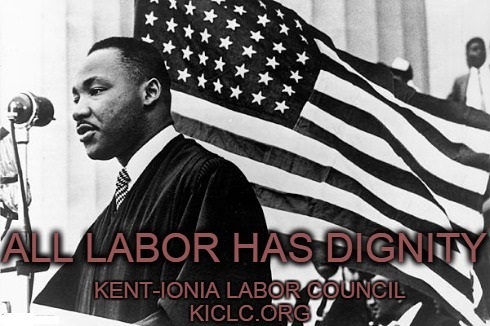 Dr. King’s ties and fellowship with the labor movement were deep. Selma opens with King accepting the Nobel Peace Prize — it doesn’t mention that one of his first tasks upon returning from Oslo to his hometown of Atlanta was to picket with striking workers at the Scripto pen factory. Union members, from the rank-and-file up to representatives of the AFL-CIO Executive Council, came to march in Selma. Among those locking arms on the Edmund Pettus Bridge was [Walter] Reuther of the United Auto Workers. It was also Reuther who posted bail after Dr. King’s 1963 arrest in Birmingham. And the UAW provided the Detroit office space where King wrote his most iconic speech: “I Have a Dream”. Dr. King’s last campaign was a labor struggle. Many people are aware that King was assassinated in Memphis in the spring of 1968. Less well-known is what drew him there: solidarity with city sanitation workers, who, without the benefit of union representation, were rising up to protest humiliating pay and deplorable working conditions. Representatives from the American Federation of State County and Municipal Employees (AFSCME) came to town to help negotiate, but the recalcitrant Mayor, Henry Loeb, refused to come to the table. Mayhem broke out in the streets when police turned mace and nightsticks on marching strikers. Less than 24 hours later, he was gunned down while standing on the balcony of the Lorraine Motel. Within two weeks, the strike was settled. The city recognized the union and granted the sanitation workers a raise. Nearly half a century later, workers’ struggle for fair pay, decent benefits and economic security remains one of the pressing challenges of our time. With a declining percentage of workers belonging to unions, wages have stagnated and the middle class has suffered. Around the country, reactionary forces continue to exert their considerable power to try to muzzle worker voice. But time and again, we see Dr. King’s influence in mass mobilizations of people peacefully petitioning for their rights at work. We see it in the ongoing campaign by fast food workers to get the raise they deserve. We saw it in Madison, Wisconsin in 2011 — thousands descending on the state capitol to protest a state law stripping public employees of collective bargaining rights. To ensure an economy based on shared prosperity, we must grow these movements, identifying new and innovative ways to lift up worker voice. 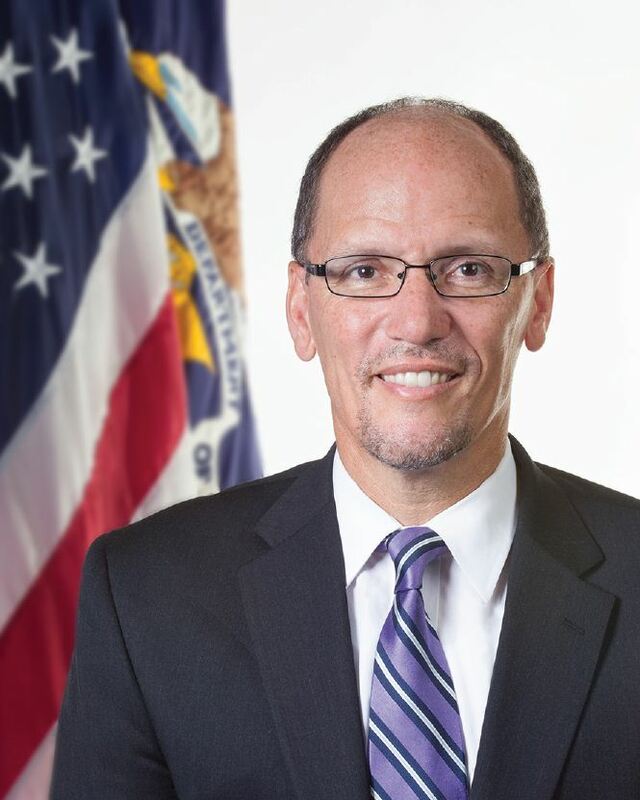 You can read the full text of Secretary Perez’s essay here. This entry was posted on January 19, 2015 by WMALC in Organizing news and tagged AFSCME, church, Civil Rights, Department of Labor, history, MLK, organizing, UAW.